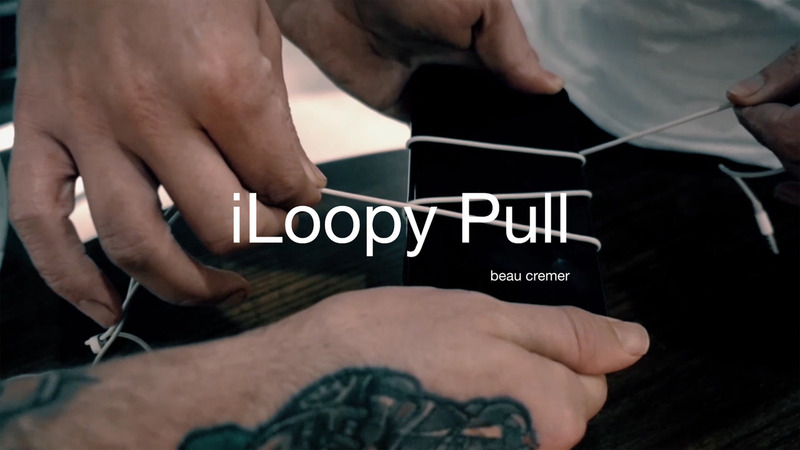 Today, when you order "iLoopy Pull By Beau Cremer", you'll instantly be emailed a Penguin Magic gift certificate. You can spend it on anything you like at Penguin, just like cash. Just complete your order as normal, and within seconds you'll get an email with your gift certificate. Pull a pair of headphones through a solid phone. This is a nice quick impromptu trick. The video was not well made but you get what you pay for, and in this case, it was free. Very nice impromptu can be an Idea using with iLINK by J.S. What a neat, little variation on "rope through neck" or on getting two drinking straws to apparently pass through each other. Very deceptive. I fool myself with this one! So I like it better than the other two! Looking forward to getting some great reactions with this one :) Well done, Beau Cremer. Beau explains this simple effect nicely and straight to the point. It is wonderful to borrow everyday items like these and do a quick mind-bender. Bravo. This is a great little effect. You can borrow both objects if you want. It's quick, it's easy, It looks good, it's free.... What's not to like?